I am continuing on th personal "mission"of,searching for any BLADESMITH,hat,i never seen around,thinkin,that,can be in anycase a startmof maybe knowing,someone that it could be of real interest,for all of us ,who loves all about SWORDS and DAGGERS customize reproductions. Please check now on SLOVACHIA,the other part of old CECOSLOVACHIA,as of course,we all knows where is. Mr.LASKY,after looking at is site,very well done,seems to be,after i checked as i could,knowing only that MECE,is SWORD,and DIKY,is DAGGER,RAPIRY,is RAPIER,and SLAVEis SABRE,ecc(ZBRANE,is ARMS),one of these 4-5,that considered themself,ARTISTIC BLADESMITHS,that they look like doing really just amazing quality,of custom pieces. Please let me know,what you think abot the rapiers. PS. Lasky,it sounds like the big mob chief,with Luciano,ecc. The detail work on the hilt is simply striking, and the work on this rapier as much so. The man is certainly an artist. That is truly marvelous work! Some very pretty things on the site. That Viking sword is just stunning. My lord that looks amazing. Now in EU is Czech and Slowak one Market, we have very similar lanquage. In Czech and Slovak are more maker probably 100. Best ever maker is Barta but he dont make wearpons por fencing and the price are nonreal for as. Best custom sword for practice make Andrísek, Skryja, Robert Moc (No Pavel Moc-sword.cz) but they are very expensice like Laska. Lutel, Červinka, Pavel Moc are expensive but not higth quality in proporticon to price. Had, Kalný, Vobořil and Figura have normal coast and qulity, quality and price for practice. Another makers are serial makers or nonhistorical. Luděk Vobořil very good repier and renaisance wearpons. Luděk Kalný very good longswords for practice but sometimes too haevy. Had make exelent blade but he have not website. Work from Czech maker. Gun from Skrbek and sabre from Figura. Link to http://lightswords.cz/ have problem also Zbraně (Wearpons) in this website is gallery. To problem with communication. Czech and Slovak is gread market for maker. Good or low quality maker is very busy man. Also problem with your answers in english from Czech makers. Makers are very busy Czech market with sword and wearpons is great. Makers sometimes dont speak english, haven´t interes to problematic work and send to long way. People in central europe have enough money and for craftman is better make for German, Czech, Austria, Slowak and Poland as America or Engladn. Many Makers are not customs, bud they work in winter and sale in summer like dealer on historical meeting. And young Craftsman as Jindřich Figura, Luděk Vobořil. I must also say, that whoever he's got doing his photography is an artist in his / her own right! I want to answer to Vaclav. 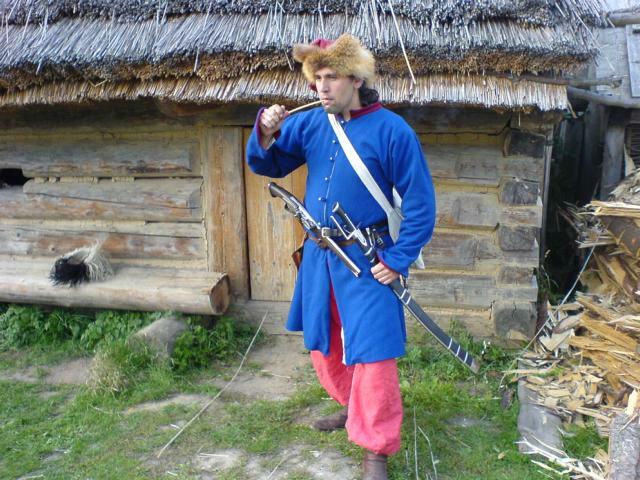 LUDEK KALNY has an internet site,aand pretty well done,also in english,check previous topic on myArmoury. I desagree with your liking of VOBORIL,ok i you talk about munition grades,so there are better as K+K,NIELO SWORD,and others you can find on HISTORICKE FIRMY. About CERVENKA,totally dipend on what you ask and what you spend,he can be at higher level,if he wants.Anyway,if you know CERVENKA RAPIERS-MAIN GAUCHE,it is hard to say that is prices are higher then whatyou get,the opposite. Even id you do not ask angthing special to him,just per example,order a PAPPHENEIMER RAPIER,as i did first time,and you will wt a real weapon,with great detail. Of coure LASKY-SKIRYA,ar more glamourous,but will they answe amail?not to me,and i made sure,iwas goin to order. KALNY he is selling to a famousand expensivearmourer in Italy,probably he has no interest of new clients,but,sorry,to me it is strange,how they survive,or,they are not interestedto be better known.Plus,if they sale directly toend users,they could et better mony,but they are probably chained to some shops,that wholesales their prodeuct,but thismwill never implement heir quality,keepin alllow priìce,and we now,can find, a lot of munition grade ,first price products(i forgot LEIER. ),to me ,pretty boring,allmore or less the same.Then,at this stage,better by WINDLASS,or HANWEI. I started like this,buying pretty cheap repro,but,as soon i ot more involved,i,now,prefer to wait even a year or more,but,i want to have something i can like forever. If i was in USA,i would have been one of Craig of A & A,best clients,but duty,and even moe licence problems,are makin this difficult. That is why,i wouldlove totry ,sometimes,someone new,from Cech Rep.,or Slovachia.